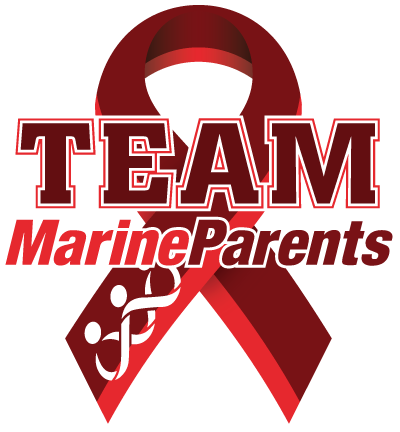 Our groups on Facebook are all identified with the following text in the group title: Official MarineParents.com Facebook Group. 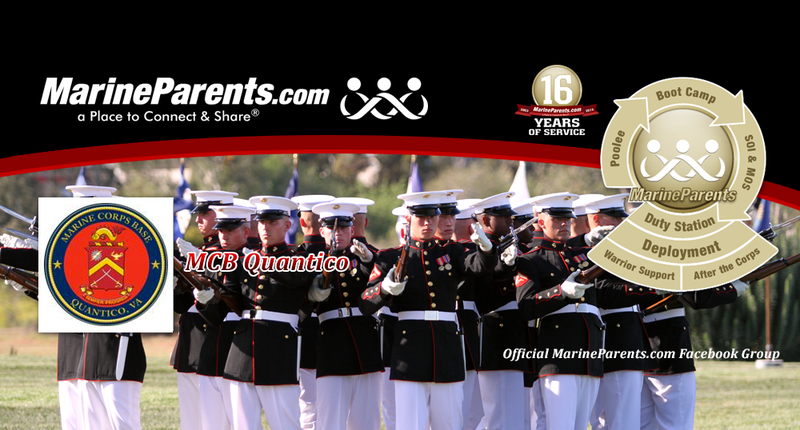 We've been supporting Marines and their family members across the nation since 2003. You've found folks that understand where you are. 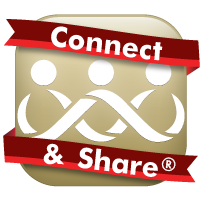 You've found your Marine Corps family and a Place to Connect & Share®. Social media should not endanger our troops. Training for our volunteers includes how to oversee military groups for security and safety issues with both OPSEC and PERSEC. We are strict with our guidelines and take the responsibility of safety very seriously. All group members must follow our 10 rules. Posts which do not follow the guidelines will be deleted without notice. 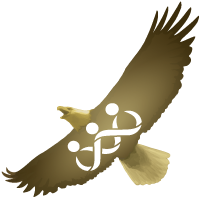 We do NOT ask for personally identifying information about you or your recruit/Marine when you join our groups. Please be cautious of other Facebook groups who state the criteria for joining their group includes any of the following: your recruit or Marine's name, the recruiter's name, location of the recruiting station, MOS, or unit. 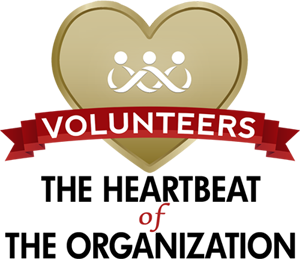 Visit our Facebook Volunteering page to learn more about our volunteers and about volunteering. 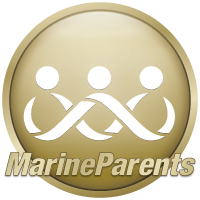 To join an Official MarineParents.com Facebook group, you need to answer all three membership questions presented by the Facebook interface when you click to join. Please allow 24-48 hours for your membership to be approved. 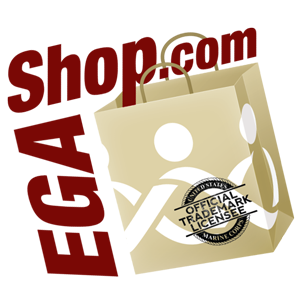 Your membership will not be approved if you do not respond to each of the three questions. 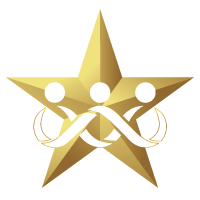 To see a list of recruit groups according to graduation date, click here. 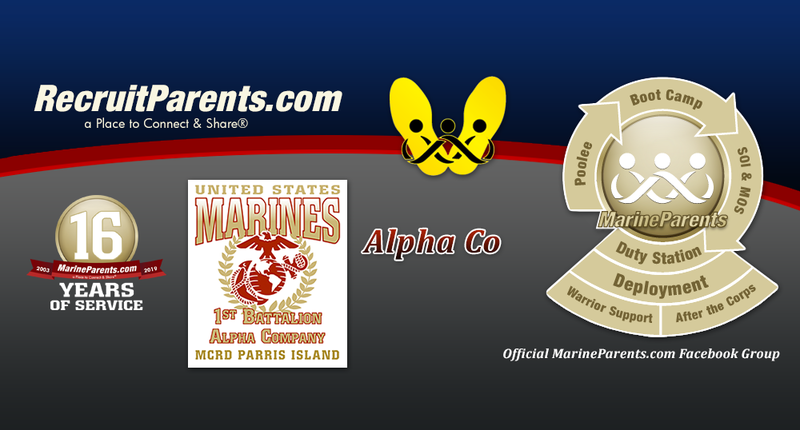 See below for alphabetical list by location: San Diego or Parris Island. Start with this group. 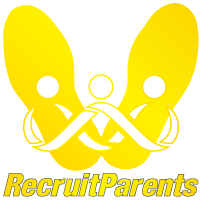 Join your recruit's company group no earlier than two weeks prior to ship date. 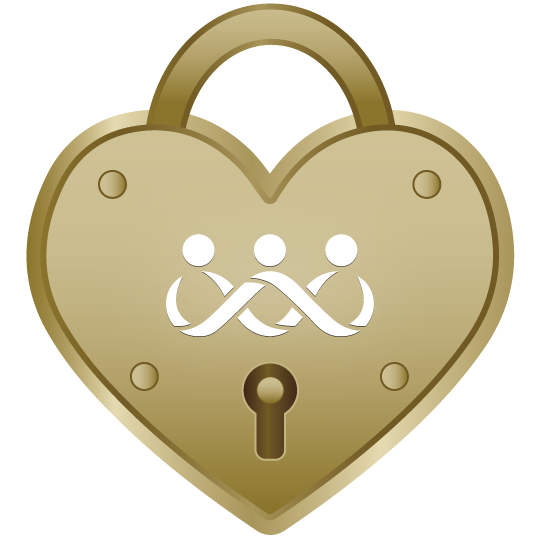 This a secret group; the link works for members only. If your recruit has been moved to a support platoon, request admission from your recruit group leader. 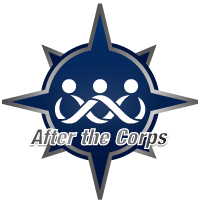 You may join the boot camp group no earlier than TWO weeks prior to the ship date. 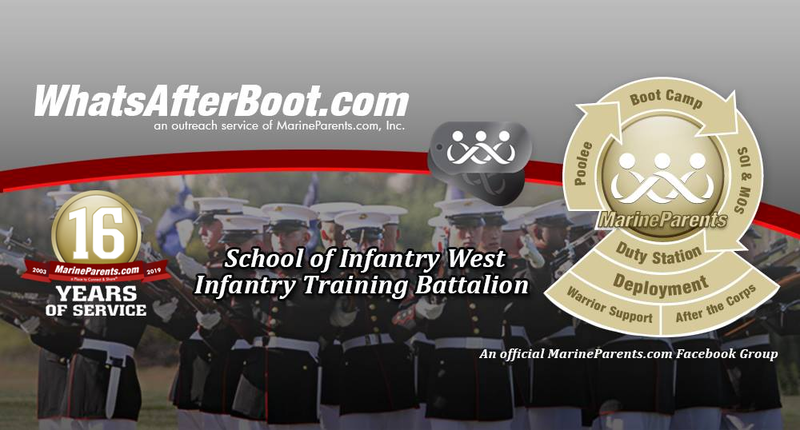 After boot camp and ten-day leave, your new Marine will go to School of Infantry (SOI) for additional training. 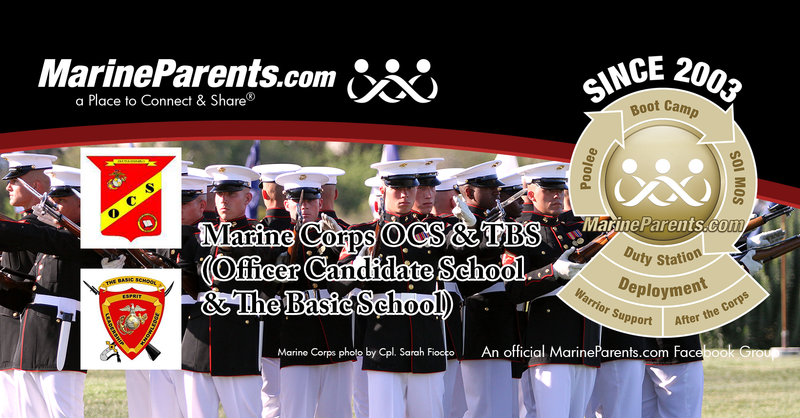 From there, all but 03XX MOS (Military Occupational Specialty) will go to MOS Schools around the nation. 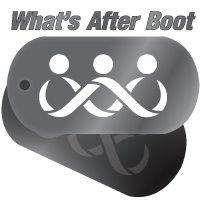 For more information about which group to join and "What's After Boot Camp" see www.WhatsAfterBoot.com. 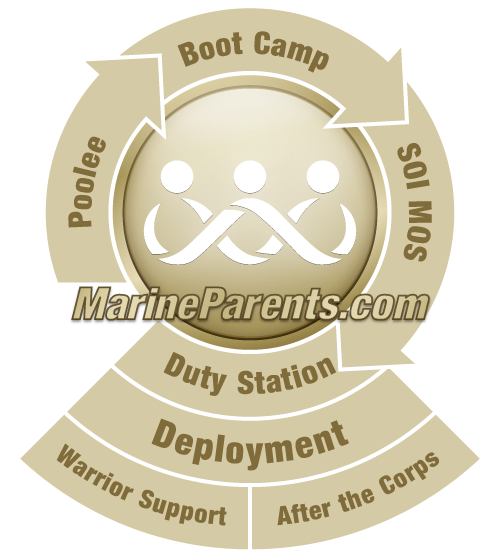 Groups for family members with Marines who have ALREADY GRADUATED FROM BOOT CAMP. These groups are based on family affiliation. 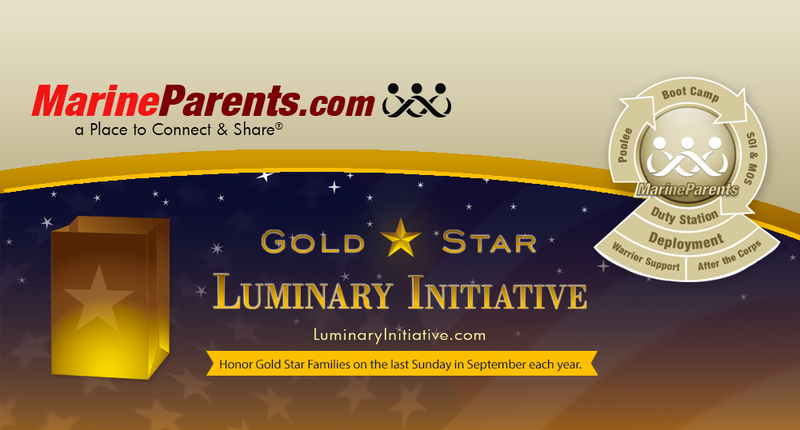 Groups for Marine Corps family members to connect with other Marine Corps families in their own state. 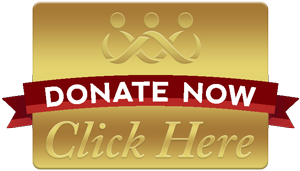 Please join only the group representing the state in which you currently reside. You may join your state group prior to boot camp graduation and remain throughout your Marine's career in the Corps and afterward. 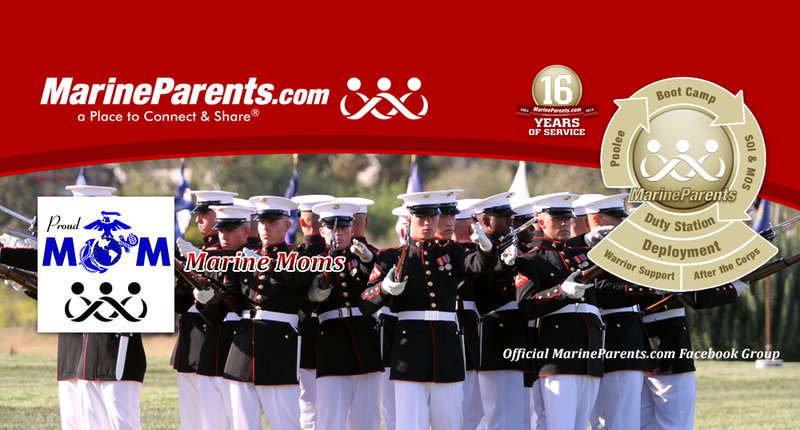 In many of our Official MarineParents.com State Groups, our volunteers plan local meet and greet opportunities as a Place to Connect & Share® in your local area. 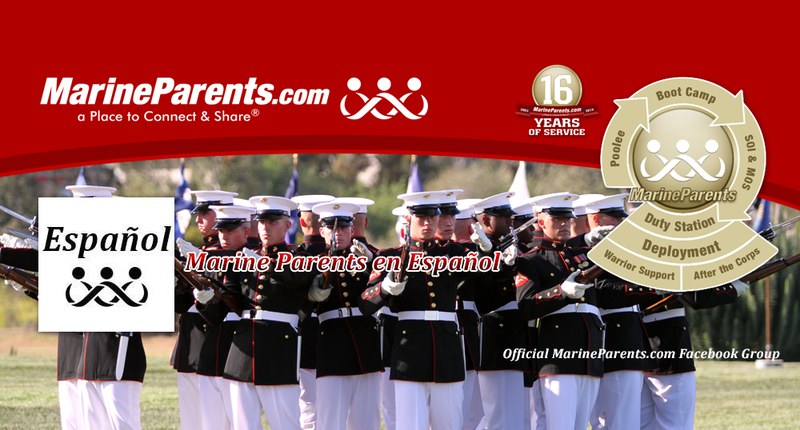 To learn about events which may be in your area, visit our MarineParents.com/Events page. 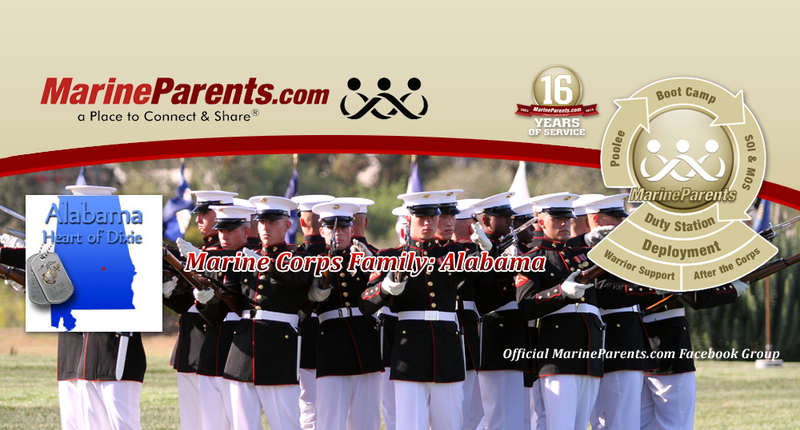 Groups for Marine Corps family members with Marines stationed in certain locations. 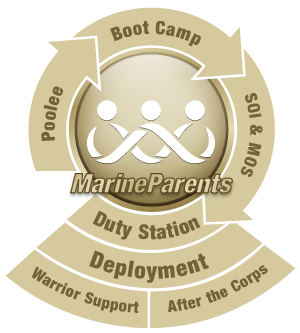 Groups for the MarineParents.com Outreach Programs. 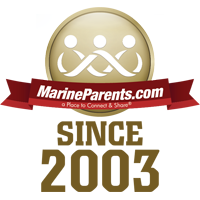 If you would like to join an "invitation only" group, please contact us at outreach@marineparents.com for approval.